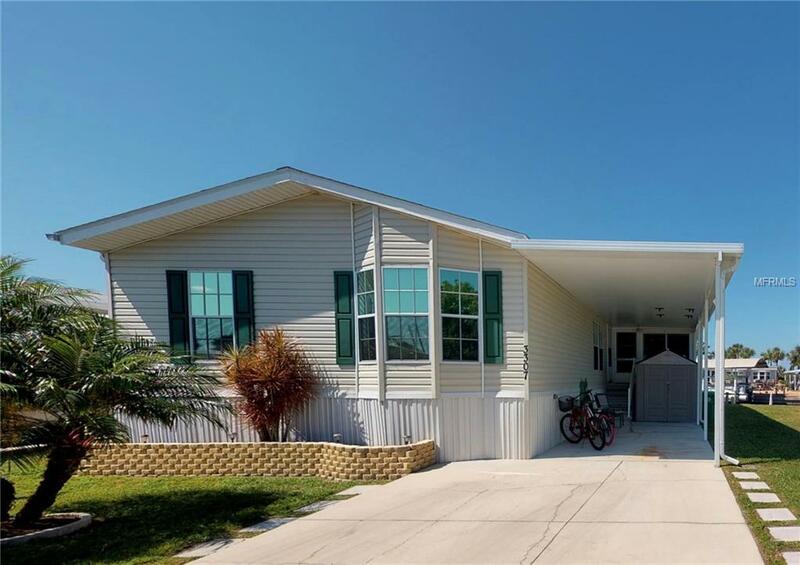 This home is located in a pet friendly 55 plus community with low HOA fee of $145.00 per month including water and sewer. The house has 1245 sq ft in the main plus a 220 sq ft lanai. No carpet in this house, just a mix of laminate and tile. Out back(Western Exposure) there is a new concrete sunning pad, new dock with Tek deck like surface, and a wireless remote control boat lift that makes boating in and out as easy as pressing a button. There is a newer vinyl sea wall with cement cap. 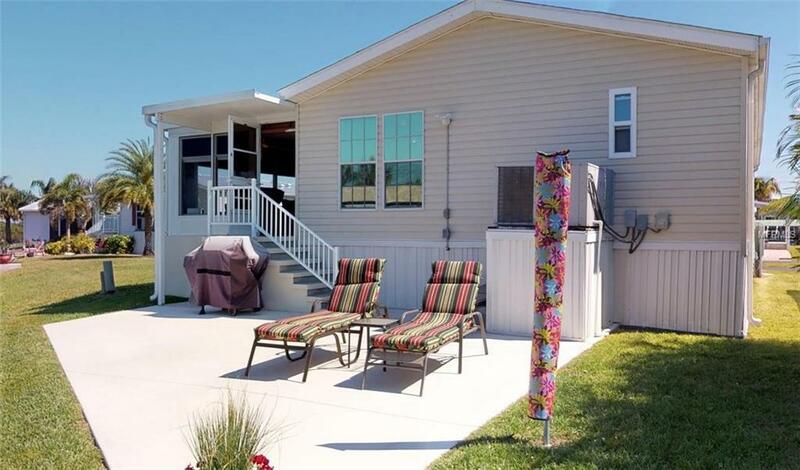 The lanai features screens with vinyl closure panels along with roll down sun shades, new tile flooring and a separate AC unit. 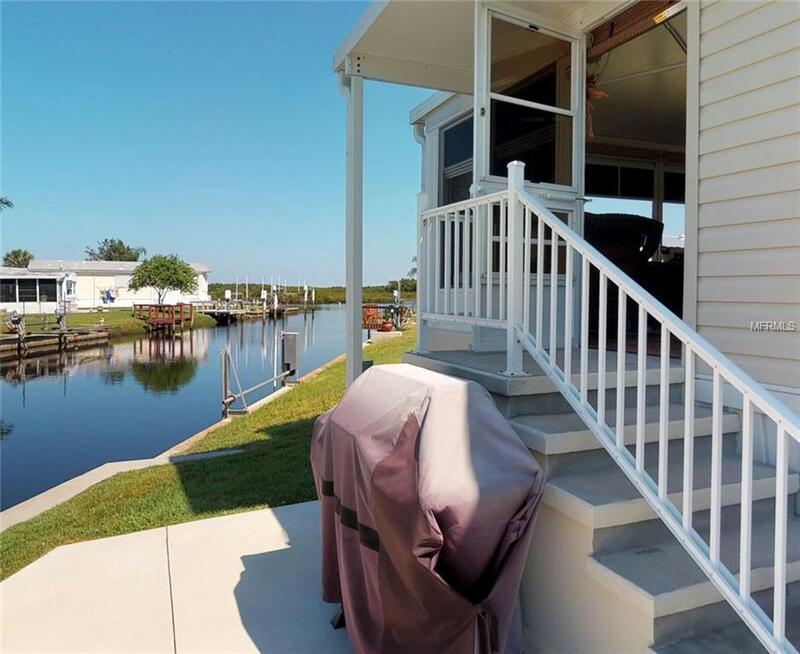 The kitchen has a dinette overlooking the water and Florida wildlife. The living area with vaulted ceilings separates the Master bedroom from the two guest bedrooms. Two of the three bedrooms are large enough for King beds. The Estuary view adds much to the enjoyment of this home. 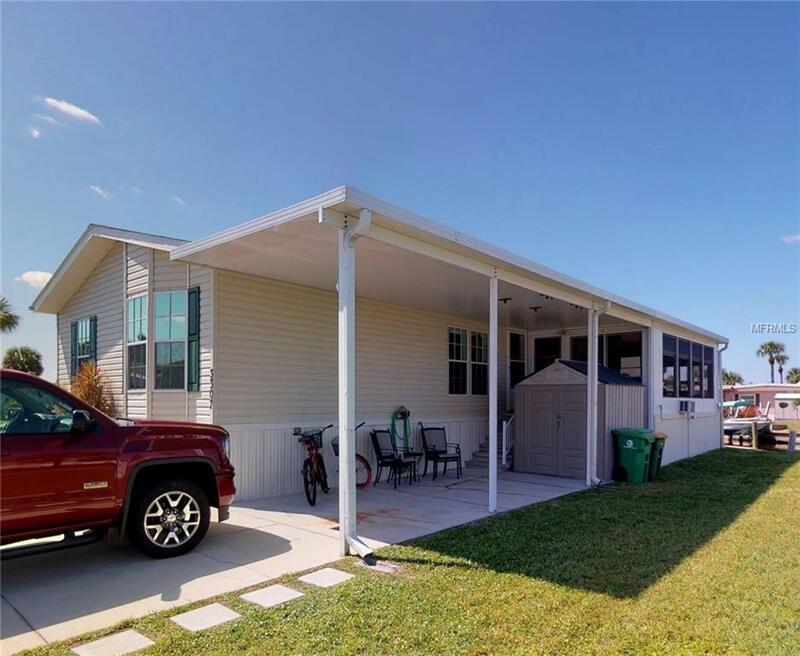 The community features a clubhouse, pool, shuffleboard and bocce courts, horseshoe pits, as well as an outside storage area for your boat or RV. Very active community with great reserves.